Ayurveda speaks to optimal digestion as the key for staying healthy. Ahara, on a gross level, is the food we ingest on a daily basis. But how do we know when, how and what to eat? Ayurveda provides several guidelines for eating including portions, time of day, environment and sensorial stimulation. This is an excellent video that introduces 10 useful rules we can incorporate into our Ayurvedic lifestyle. Namaste! Lentils are a separate branch of the legume family tree and look like small, flat round disks. Lentils come in a huge variety of colors and flavors ranging from black to orange to green. Lentils need no presoaking, cook in only 45 minutes and have a pleasant, peppery flavor. Lentils are a very popular legume used throughout much of the world. Brown lentils don’t hold their shape well after being cooked, however green lentils do. 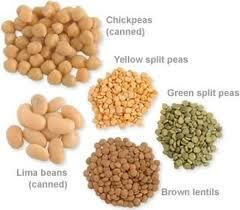 Lentils have a high nutritional value second only to soy beans in protein content. They make a great soup all by themselves and can also be ground and made into meatless patties. Lentils sprout in two days, being crisp and sweet, they are a great addition to salads. Lentils have been a popular food in the Middle East for thousands of years. Never give up, always have faith, in all you do…. Thanks BB for sending this to me to share. I love you!